Easter is a holiday that is often spent in the company of friends and loved ones. 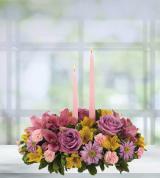 It is also a time to send or give the special people in your life a thoughtful gift in celebration of the day. 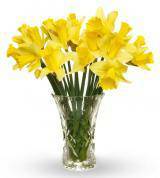 When shopping online, you will find an assortment of Easter gift options at Avas Flowers. 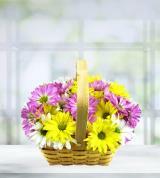 We sell gifts that include gift baskets, live plants, and Easter flowers. 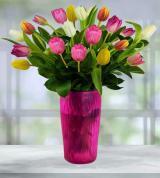 Arrangements for flower and/or Easter basket delivery to anywhere in the U.S. can be made when placing an order. The ability to deliver nearly anywhere in the country is made possible due to our trusted relationships with local flower shops. 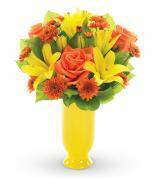 Flower arrangements make great gifts and are popular during this time of year. 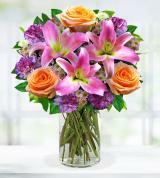 One reason for this is the beautiful vibrancy of common Easter flowers. 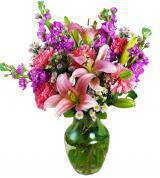 Arrangements typically use spring-blooming flowers of various sizes and types. 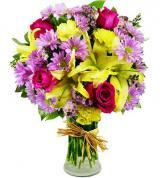 Some of the common spring flowers used for Easter gift-giving are flowers such as true lilies (which include the Easter lily), calla lilies, and tulips, for example. 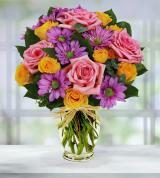 Easter flower arrangements may also be made using an assortment of different flowers or a single flower type. 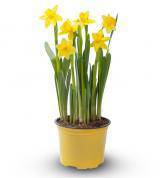 Instead of flowers, consider sending something different, such as Easter plants from Avas Flowers. 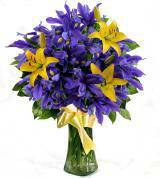 This is a gift that is ideal for people who prefer live plants versus cut flowers. 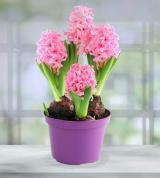 We have three categories of live plants for you to choose from: blooming plants, green plants, and orchid plants. Any of these make perfect gifts that will last for years, provided they are given the proper level of care. 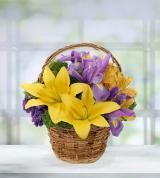 Gift baskets are yet another smart Easter gift idea that is sure to please all who receive them. 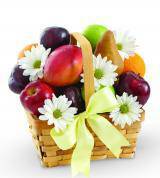 Avas Flowers sells fruit and gourmet gift baskets that are stuffed full of tasty treats, including seasonal fruits, chocolates, and other delicacies. While anyone can appreciate a gift basket, they make especially good gifts for people who are unable to care for flowers or plants. Consider sending a special family, a couple, or any group of people a gift that they can share, such as an Easter basket. 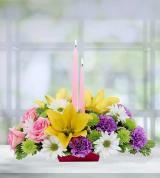 Delivery of your gift, in most instances, can be made to homes or places of work on the date requested. 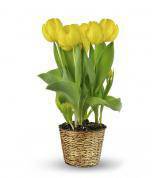 When you are ready to buy gifts for Easter, browse through the available Easter plants, floral arrangements and bouquets, and gift baskets that are available here at Avas Flowers. Our items are cheap in price but are high-quality in terms of being healthy, fresh, and in good overall condition when delivered. Contact our customer service department by phone at any time, 24 hours a day, with any questions that you may have. Customers may also contact us by filling out our online form. You’re just steps away from ordering the best Easter gifts for the important people in your life. Don’t wait until the last minute; place your order and set a delivery date today!